Okay folks, I have some awesome news to share with you guys and gals. I have found a way to eat my favorite thing. I love Smores flavored Pop Tarts! I do! They are amazing! Well today I figured out a way to make then without leaving my sewing room! Grant it, bringing a toaster up to my sewing room would have been a simple solution, I decided to take the hard route and use my iron! It turned out amazing and I just wanted to share! 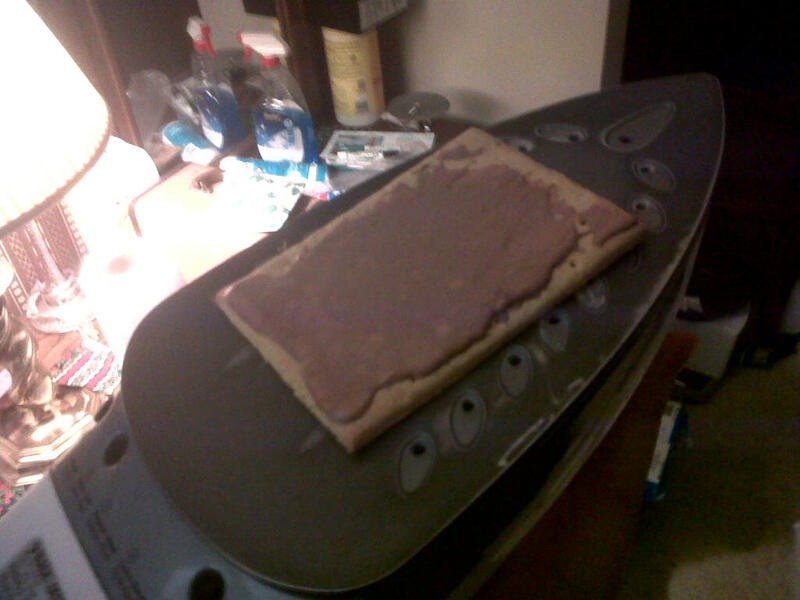 Pop Tart on an Iron! ← On The Docket For This Week..